Fairview Award News 2012 | Welcome to Fairview's Blog! Fairview has been awarded a host of medals at various recent international wine awards, notable achievements include four gold medals at the Concours Mondial de Bruxelle, a silver at the 2012 Sommelier Wine Awards, and medals at the Decanter World Wine Awards. It is most satisfying to know that we received medals across various brand-offerings and varietals, re-affirming our versatility as a multi-faceted producer. 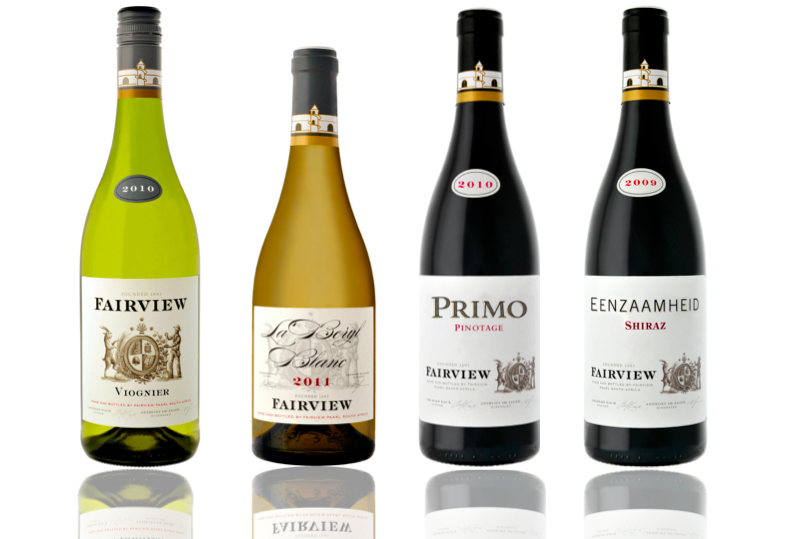 Fairview received gold awards for its Fairview Viognier 2010, La Beryl Blanc 2011, Primo Pinotage 2010 and Eenzaamheid Shiraz 2009. A silver medal was awarded to the Fairview Shiraz 2009 and several other awards and special mentions were given to the La Capra Pinotage 2011, La Capra Malbec 2010 and Fairview Chardonnay 2011.